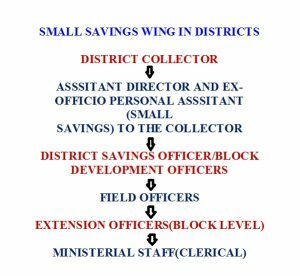 The Small Savings Schemes are implemented mainly in the Post offices. The Small Savings Constitutes the basic resource base of the Government. This amount is used to implement the various developmental activities such as roads, power, drinking water, hospitals, education etc. Promotion of thrift and savings habits among the people and mobilization of their house hold savings.